We manufacture a full line of disintegrators both large and small, portables, table tops, AC and DC power supplies, custom configurations to fit every application. Our AC power supply is ideally suited for hardened materials such as high speed tooling. The DC power supply is superior at removing carbide tooling. We have multiple power supplies for removing taps as small as 0-80, and up to bolts/studs over 4” diameter in one pass. Our disintegrators are 10 times faster than other disintegrator manufacturers and are easy to operate. We can remove any type of metallic tooling, such as carbide or hardened steels or any conductive metal part. Each of our metal disintegrators can use large diameter electrodes. Our molybdenum (moly) electrodes have a higher melting point, which means you use less of an electrode in the process. Our disintegrators come with everything you need to operate including a coolant tank, pump and motor plus free starter set of electrodes and collets. We offer portable magnetic base fixtures that use powerful permanent magnets for secure holding power. All machines (including table top models) are built with cabinet mounted wheels, handles, and/or usually lift eye rings for easy portability. To optimize portability, Electro Arc has put our disintegrators on heavy duty trolleys. Everything you need goes with you in one convenient, easy to move cart, this includes a power supply, coolant tank, magnetic fixture, remote control and lockable tool box for storing electrodes and accessories for everything the operator will need on the job. We offer multiple disintegrating heads available from small portable to larger heavy duty heads with auto feed, servo feed, and manual feed options. Our disintegrating heads have been designed to handle the smallest and largest electrode. Our “in the quill head” or IQ delivers the precision and performance needed for small tap extraction to large turbine bolt removal. The Electro Arc head assembly is servo motor driven, hard-chrome finished quill and precision ground rack-and- pinion system. The Quill rides on precision-honed bronze bushing, keeping .002” TOR tolerance. This provides smooth, positive, and accurate head feed. This is an exceptionally robust and accurate system that will provide a lifetime of trouble free service. All our disintegrating heads can operate in any direction, including inverted or horizontal. All of our disintegrators come with a complete coolant system including a pump and motor and there is no need for a separate bath. Our disintegrators do not use an EDM dielectric fluid. No need to submerse a part in dielectric fluid. Coolant is pumped through the head, and electrode directly to the point of disintegration, preventing heat distortion of your part, and also flushes disintegrated particles, which maximize efficiency. We are the preeminent manufacturer of metal disintegrators. We have been building and designing easy to use, operator friendly machines longer than any manufacturer in the world. All our machines are simple to operate, including easy to read current monitor/ammeter, and no other gauges that need to be monitored. Our disintegrators do not require an experienced operator. A competitor’s machine has warning indicators, pressure gauges, and several adjustments for the operator during and after the disintegrating process that are unnecessary and make operation more complex. EA has taken all these uneccessary problems and engineered the disintegrator to be worry free. All our machines are high quality manufactured with warranties. We have the ability to custom engineer machines for special purposes. Machines can be built to operate on nearly any input voltage. Machines can be CE or CSA certified. Readily available parts and service to keep your machine operating for many years. Experienced staff provides the best recommended solution and service for your individual needs. All new machines include minimum 1 year warranty; heavy duty machines include 3 year warranty. We do not use pneumatically (air) driven disintegrating heads, nor a mechanical swivel joint. Air is compressible and because air is compressible, it does not provide the kind of direct, mechanically positive characteristics of an electro-mechanical system. Therefore, pneumatic system is prone to variations in either air pressure or coolant pressure. These variations in pressure cause the head movement to be erratic and choppy with less precision. Pneumatic systems are also prone to corrosion and other problems due to ingress for foreign particles and moisture. Electro Arc’s electro mechanical system has none of these problems or exposures. We have an optional remote control with a start/stop or a remote that has all the machine controls. The operator should not have to fiddle around with adjustments to efficiently run the disintegrator. We also have fixtures including a 3,000 pound permanent magnetic base which secures our rigid column and cross-arm. These hard chromed steel slides offer years of trouble free service and there are no mechanical adjustments to make. One of our competitor’s uses as adjustable coolant pump with an alarm that alerts the operator if coolant pressure becomes dangerously high. The alarm gives the operator a chance to make pump adjustments before system failure. 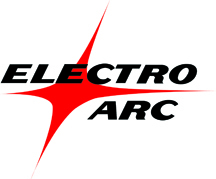 Electro Arc uses a factory-set pressure regulator, thereby eliminating the possibility of operator error with respect to the coolant pressure. 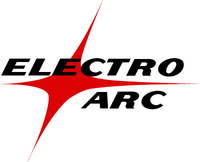 Electro Arc (EA) machines do have an indicator light alerting the operator to any potential low coolant level. A competitor’s machine has 8 axis of movement. EA’s machines has 7 axes of movements. EA’s machine positioning capability within the machine’s working envelope is identical to that of our competitor. Therefore, 8 machine movements are superfluous – adding the additional movement to machine complexity offers no functional reason, with more that can go wrong. We very much appreciate your consideration, and again, we believe that a thoughtful comparison of the disintegrators demonstrates that Electro Arc provides more value. Should you have further questions, please contact us. Building the world’s best metal disintegrators since 1947.